We produce our photo montages in a different way. Tired of watching the same exact slide show at every wedding you go to? So are we. We produce our photo montages in a new unique and creative way. Our style can best be summed up as…music video style production. We use transitions to the beat of the music…that you choose, we add pictures that are relative to the music lyrics and theme of your montage and we tell a story with a movie style organization. Our montages are the appropriate length (10-14 minutes) and we present them at the appropriate time during your reception. (After dinner, but before dancing and after the servers are not blocking anyone’s view). We will play your montage on our professional grade screen with our high-def projector at your reception. $350 for production and presentation. *We post mail a proof DVD for customer review after our production is complete. The following are examples of our photo montage production work. 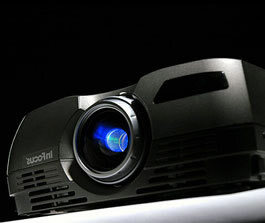 ** If you are need of just the projector, screen and professional audio for your personal produced slide show, we charge $150.00. This price includes set-up/tear-down of the entire A/V system at the reception. This sample below is from my own wedding in Sept. of 05'. It is a sample of a more traditional look and feel. © 2012 Double Platinum DJ Services, All Rights Reserved.